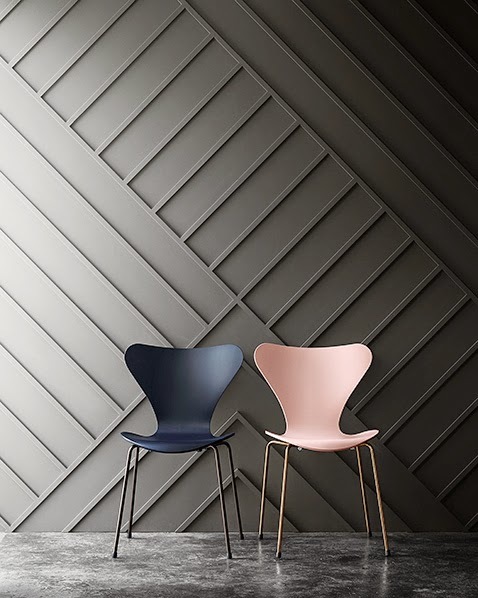 Republic of Fritz Hansen announced the release of special editions for two of their icons designed by Arne Jacobsen. A new limited edition of the Egg chair - the "Fritz Hansen Choice 2014" - will be available in stores the 1st of December 2014 - only 999 Egg chairs have been produced. 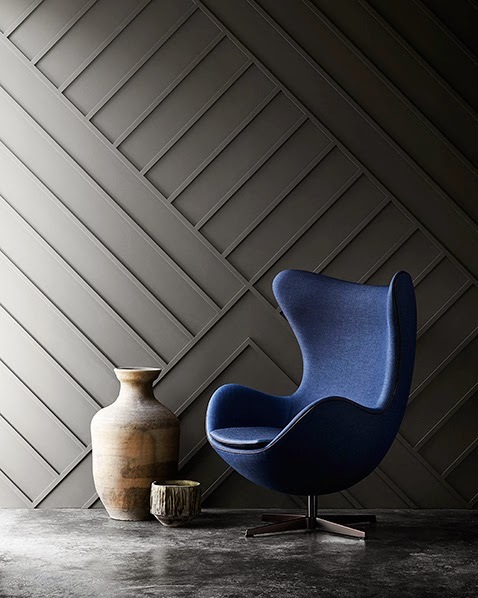 Inspired to Arne Jacobsen's use of classic bluish colour tones, the chair is dressed with a beautiful indigo blue fabric from the Canvas series by Kvadrat. There's more..., two special editions of the Jacobsen's stackable Series 7 chair will be available in 2015 - to celebrate the 60 years anniversary of the design. Inspired by the original colour palette designed by Arne Jacobsen in 1968, two jubilee models in special colours have been created: a masculine edition with a dark blue lacquer shell and powder-coated burnished legs and a feminine edition dressed in pale pink lacquer with 24-ct gold-plated legs. To mark the 60th anniversary of this iconic chair, each chair has a golden plate mounted on the underside of the shell. 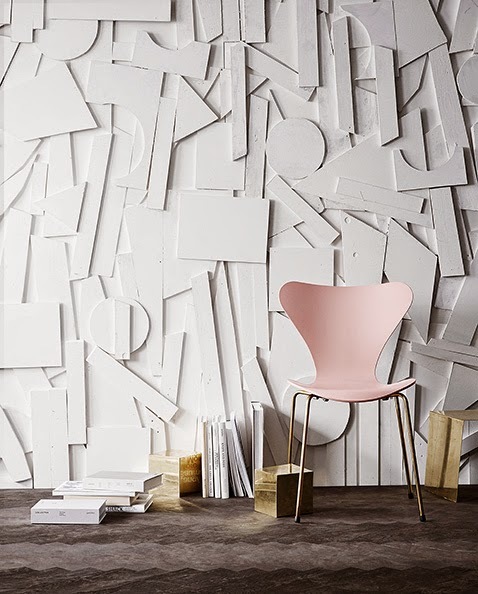 "More than any other designer, Arne Jacobsen pioneered the concept of Nordic simplicity. And his stackable Series 7 chair earned Arne Jacobsen and Republic of Fritz Hansen a prominent place in design history."